my fabric relish: Exciting news! 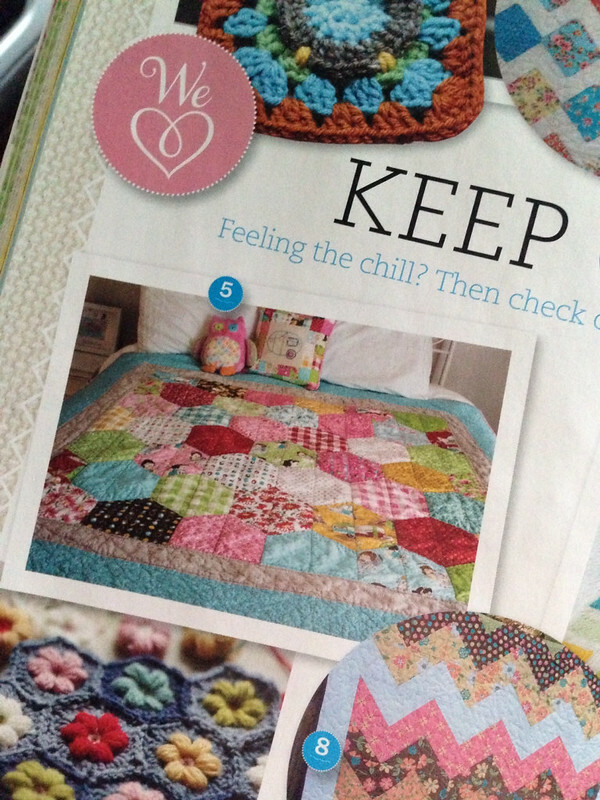 Back in November, Yvette Streeter, Editor of Handmade magazine, emailed me asking if she could put a little feature of my Half-Hexie Glamping quilt and I said absolutely (duh!). Well, the magazine is finally out in the UK (released here at the end of the month) and got my copy in the mail Monday. When I saw the page my quilt is on, I was excited to see Kelly from My Quilt Infactuation's chevron quilt next to it (I emailed her immediately...haha). Soooooo, if you are in the UK, please grab yourself a copy...I know you will be delighted! If you see it here in the US, let me know, because I have yet to find a newsstand/store that carries it, but only checked Barnes and Noble and JoAnns. And some more exciting news....we found a new house! It's actually a new build, so we have a little more time to sell. I am trying to get the house decluttered and ready to go on the market by the end of the month. Man, this is just as bad as packing everything! I am feeling good about donating all of our junk, though. With all that said, it might be a tad bit quiet here. I think once the hustle of getting the house ready is over I should have a bit of down time to sew and share. Wish me luck!! Congrats! That is such wonderful news and such a beautiful quilt. Congrats Melissa. So much excitement on a lot of fronts. Good for you! That is super exciting! Have fun getting everything ready in your house. Congrats, how exciting for you! Congrats!!! What exciting news! Very happy for you... And so proud! Congrats, Melissa! I hope all goes smoothly for you! Congratulations! 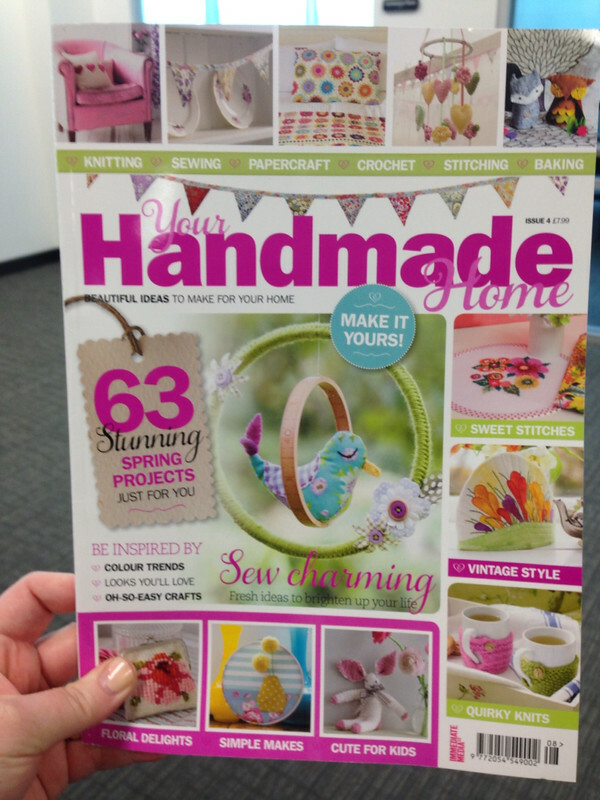 Must be very exciting to see your handiwork in a magazine!! Good luck with getting ready to sell and the move and all that it entails. Congrats! And good luck with the move. That is so exciting. yay! I was so excited to receive the magazine in the mail as well! And congrats on the house. I certainly do NOT envy you with all of that packing!